In mid-July, I did a charity bike ride for Cystic Fibrosis with Quad Cycles, the 2nd time I've done this ride. This year a crucial bridge was unavailable, so we started in Kittery, Maine, cycled to Biddeford, and did a few loops through Saco and beyond to make up the distance. This year I did the century option, and rode the 100 miles at 18.5 mph, 5 hours 25 minutes pedaling, which was by far my best time for the distance. 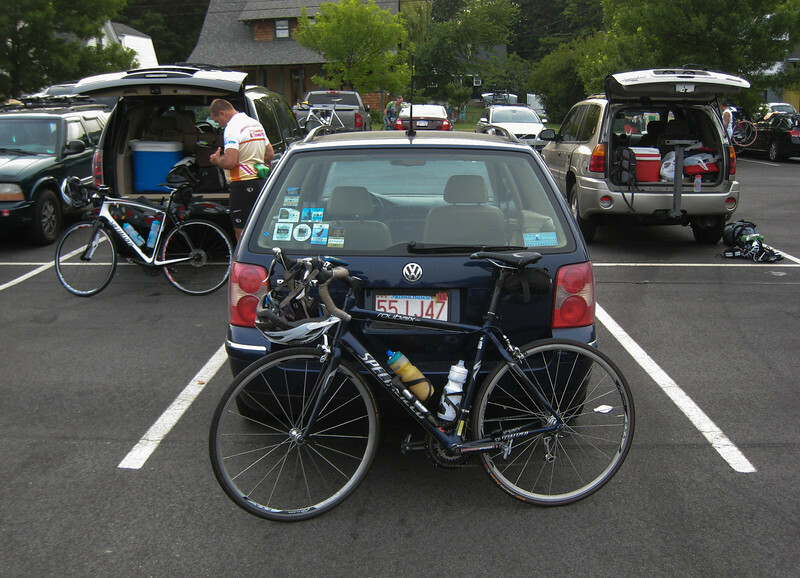 We stayed at UNE in Biddeford, and the next day rode back to Kittery (with another loop), for 62 miles at 18.7 mph. Bike at the start, Kittery.